Transmissions are notoriously complex engine components. Even the most experienced professional can find themselves passing along a transmission repair to a specialist. Webster’s Import Service is here to make sure all the Triad’s foreign auto drivers know they have a specialist in Greensboro. If you notice that your vehicle is slipping out of gear or having trouble accelerating out of first, then you need our experts on the job. You’ve invested so much money into your import’s quality performance, and we want to make sure you get a full return. Our extensive training and experience in transmission repairs for all imports make us the obvious choice for any transmission repair services. Many owners assume that they have to return to the expensive dealership find a certain level of expertise. That’s simply not true. Webster’s Import Service has just as much, if not more, expertise in servicing your import. At our specialty shop, we don’t treat you like another number. You can trust our transmission repairs and service because we treat you like family. For smooth gear shifting, consult the specialists at Webster’s Import Service. We can handle any transmission repair your throw at us. 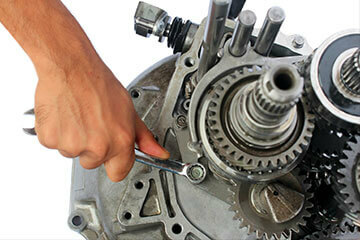 You can save time and money by getting your transmission’s diagnosis and repair from our team. Be sure to get a second opinion from Webster’s techs before having an expensive transmission repairs performed on your import. Our ASE Certified technicians understand how to care for your transmission’s overall performance by providing quality transmission services. Transmission rebuilds and replacements can be costly, and they can also be unnecessary. We take our customer’s wallet and budget into consideration when providing any transmission diagnosis or transmission repair. When you find a transmission repair tech that you can trust, it can be invaluable. Misdiagnoses can become very expensive, and a percentage of our quality transmission services are in response to a misdiagnosis. Let us be your first and last stop for any transmission repairs. It’s time to enhance your vehicle’s overall performance by letting our specialists improve your transmission. Rough gear shifting and slipping out of gear are just a few of the issues we can solve today. Trust a team that’s been here the whole time, providing excellent transmission repairs to import drivers throughout the Triad. Give us a call today at 336-393-0023 to schedule your next transmission service appointment. We’ll make sure you drive away smoothly behind the wheel of a fully enhance automobile. You can save yourself some time by using our convenient online scheduling system. Next time you’re in the area, stop by to meet the Triad’s import service experts!